Hurry and get the LEGO BATMAN MOVIE The Batmobile 70905 Building Kit today for only $34.99 from Amazon – regularly $59.99! Check out all of the Amazon deals here! Build Batman’s awesome crime-fighting car with big wheels that reposition for different missions! Race through Gotham City in pursuit of Man-Bat and the Kabuki Twins in the Batmobile. 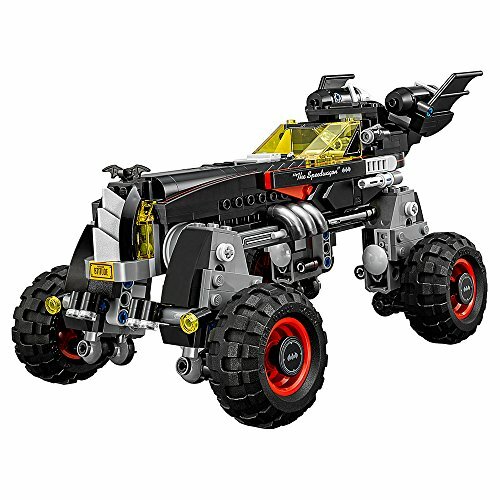 This set from THE LEGO BATMAN MOVIE features the Batmobile with a dual cockpit for Batman and Robin, two stud shooters and multidirectional wheels for three different modes—race mode, monster truck mode and parallel-parking mode. Man-Bat is equipped with a dynamite element and the Kabuki Twins each have claws to intensify the role-play battle action. Includes five minifigures. Buy the LEGO BATMAN MOVIE The Batmobile 70905 Building Kit from Amazon. Next articleToday Only: Syma Wifi RC Camera Drone – Under $40 shipped!